Jelastic offers PaaS for Java, JavaEE and PHP applications with advanced automation for certified containers. 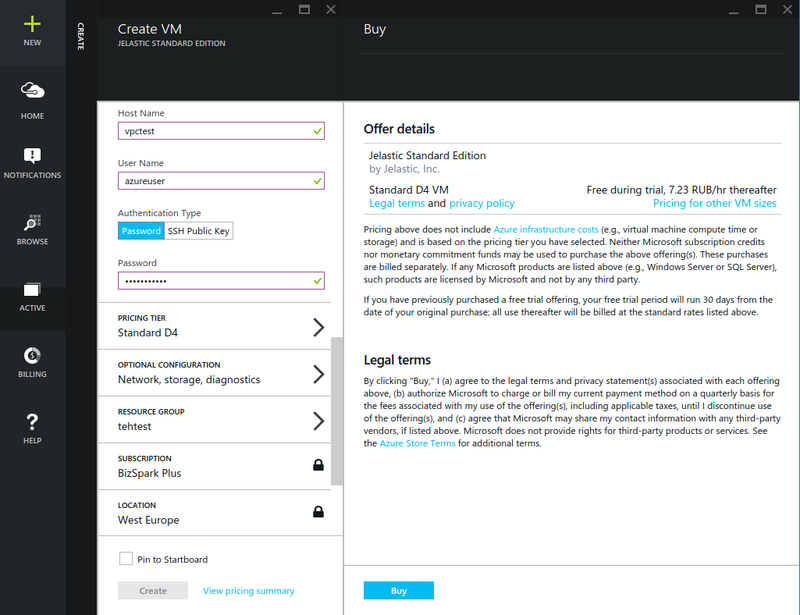 Previously we’ve announced that Jelastic Virtual Private and Hybrid Clouds are now available in the Microsoft Azure Marketplace. 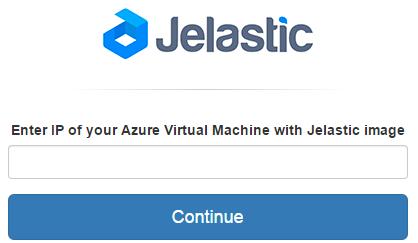 And today we’d like to tell you how to deploy Jelastic VPC on Azure. The Jelastic platform is available for automatic and seamless installation on top of Azure, providing a fast and easy method to get into the cloud. Using Azure Marketplace, any ISV or enterprise customer can create the Jelastic Orchestrator in the Azure cloud. Easy installation of dedicated Jelastic Virtual Private Cloud takes just a few hours but not days or months. In such a way, any ISV or enterprise can get their own light-weight version of the Jelastic platform with a full range of features and great performance due to premium storage instances with local SSD. 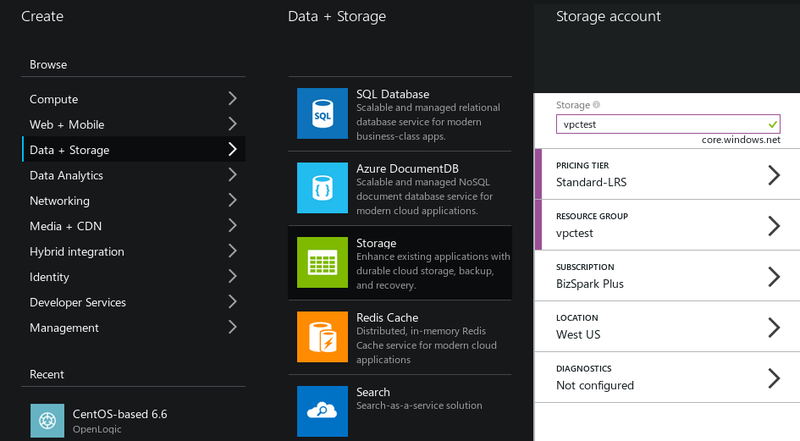 Go to the Azure portal and click on the New button, then select the Data+Storage> Storage item. Click Create when the required data is filled in. Address space, Subnet name and Subnet CIDR block – select the appropriate address space and network size. Note: At the moment you should stick the Subnet CIDR block to 10.0.0.0/24 subnet. This limitation will be removed in the future Jelastic for Azure releases. Navigate to Azure Marketplace and find Jelastic Standard Edition. Choose it and click Create Virtual Machine. After that, you will be redirected to Azure portal (where you need to sign up with your active Azure account) in order to provide the required data for Jelastic VM creation. 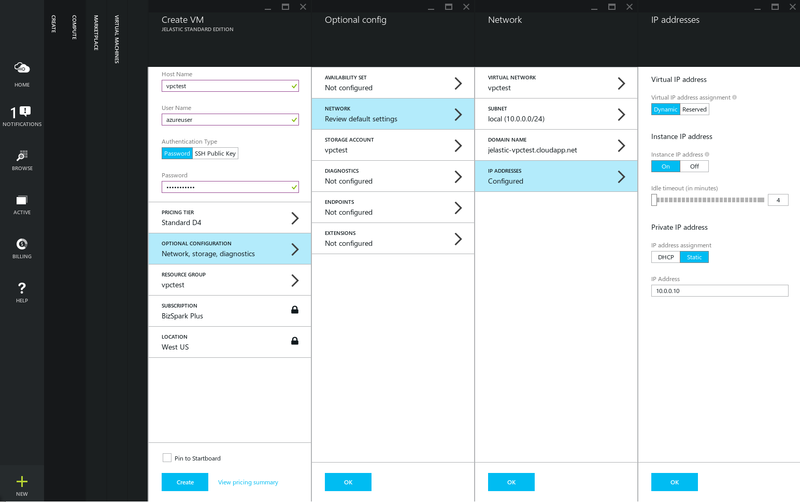 In the Network setup panel, select the local virtual network you’ve created earlier. Specify the Domain Name for your Jelastic cloud – choose the existing domain or create a new one. In the IP Addresses configuration panel, turn the Instance IP address switcher to On, set the Private IP address switcher to Static and specify the IP Address which will be used for Jelastic VM instance. Click Create. The pricing information will be loaded. Click Buy. Follow the same steps to create more Jelastic VMs required for your cluster. So, follow the next steps to attach the additional storage disks to your Jelastic VM. Select the Browse button, choose Virtual Machines and select the Jelastic VM you’ve provisioned earlier. Then click on the Settings, select Disks and select Attach New. Repeat the same steps to attach the second storage disk if you created the first Jelastic VPC. Note: Make sure you DON’T have the SOA record for the jelastic.primarydomain.com zone on your DNS servers – otherwise the delegation will not work. 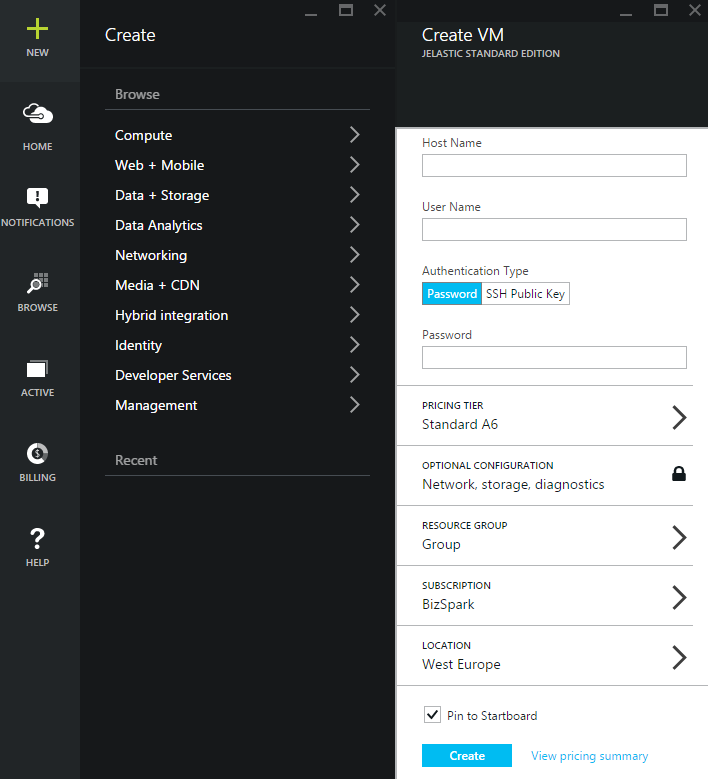 Enter the IP address of your Jelastic VM, created earlier at the Enter your Jelastic at Azure deployment IP address input box and select the Continue button. The provision portal will check this VM for prerequisites and prepare it for the Jelastic configuration process. The installation will take an hour or two, so please be patient. After that, you’ll be redirected to the Jelastic Cluster admin panel and can start managing your VPC. 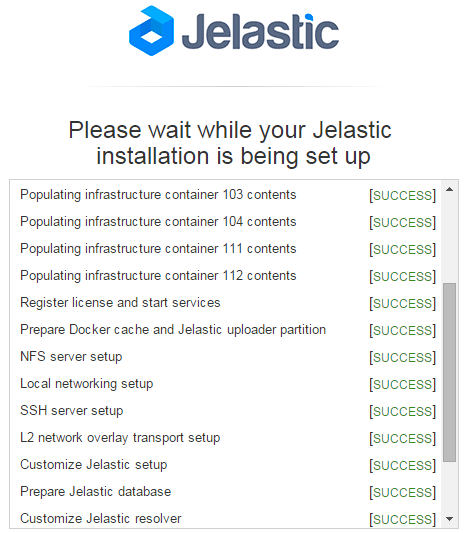 As a result you`ll get a fully configured Jelastic Private Cloud cluster just in a few steps. You can also expand your cluster by adding new Jelastic Virtual machines (containers) if required. Do not hesitate – go ahead and try this yourself. In the second part of this blog series we will show how to create your Jelastic Hybrid Cloud on top of the Azure. We are always in touch and ready to communicate, so leave your feedback in comments below.